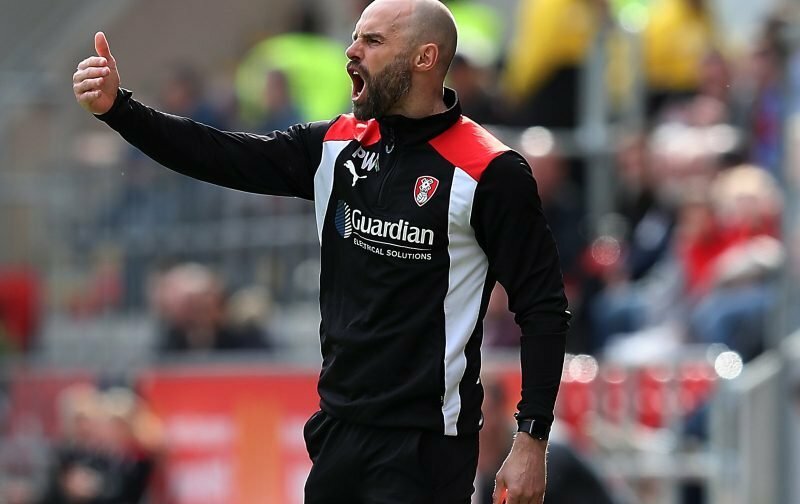 Rotherham United Manager Paul Warne told Radio Sheffield that it’s been like a normal week as his side get ready to meet Scunthorpe in the first leg of the Play-Off Final on Saturday. ‘It’s nice the game is on Saturday,’ Warney said, ‘so we can prepare like a normal week. We’ve had some Yorkshire sun on our faces and we’re in a good place. ‘I’ve played in a couple of play-offs. I remember the Leyton Orient one we played in home and away which were both nil-nil bores then we lost on penalties. I just remember in those games that I didn’t want to make a mistake. And I think there were twenty-two players who didn’t want to make a mistake which led to the most boring games in history so we’re trying to get the lads to play the same way they’ve always played. Asked if he’d thought about leading Rotherham out at Wembley, the Millers Boss said, ‘No I haven’t.